PG Connects Helsinki 2015 on 7-8 Sept 2015. & check out the current pricing here! There are just too many instances in which our games fail to represent the wide breadth of players who play them. I mean Nolan North seems to voice almost every game. That's not a knock against him or his expertise. Nor is it villifying any game that feels like it needs a character voiced by Nolan North. After all, he's played key roles in Uncharted 4, Call of Duty: Black Ops 3 and is now taking over Peter Dinklage's role in Destiny. His Wikipedia page reads like a list of every big-budget game that's come out in the 2010s. When you need the voice of a gruff white dude, you call Nolan North. He's the best at what he does. But the fact he's in such demand suggests 'his' archetype is too popular: there are too many games with too similar themes. I don't think we have a moral imperative to try and come up with more diverse games. I do think they'll lead to more interesting stories, however. Gaming has historically represented western culture and mythology, with Japan also playing a massive role, of course. As such, the stories and mythology that we're exposed to tends to influence what we perceive the world to be. There are too many instances in which our games fail to represent the wide breadth of players who play them. Culture is memetic and references itself, slowly changing and evolving, but still ultimately reflecting its creators' values. The problem is that as gaming has gone global and gotten an ever-larger audience, it's come to reflect western values and culture because that's where so many games are made, despite more people and in more countries enjoying games, especially on mobile, which has made capable gaming platforms accessible to billions of new players. I noticed something interesting when I was playing the Indian-made Skatelander. There's a character called the Shuvit Baba, and normally, any kind of blatantly-Indian character feels like it's pandering or using stereotypes. But here, it was interesting because it was created by an Indian developer. That game has an interesting and different perspective on the archetypes that westerners take for granted. It felt nice to see a bunch of different skin tones being used for characters. Another game that I think really benefits from a non-western cultural perspective, although made by a Swedish developer, is the The Journey Down series. Drawing on African mythology and featuring voices and characterizations from outside the western norms, it makes for a story and characters that feel very different from everything else I've played. Aside from moral and creative issues, though, there's also now a big financial incentive to do so. Gaming has expanded beyond Japan, Korea, America, and Europe. There's about 2.5 billion people in China and India combined. While not everyone there has access to phones and tablets yet, the technology is spreading, and more people are getting access to them, and they're going to buy games on their phones. And they're going to want games that they can enjoy and feel represent them. The developers that provide this will get the footholds in those markets and will be in the best position to succeed going forward. Yet, we equally can't ignore that this is a topic that can be messed up by progressive activists, even as they attempt to improve the situation. There was a furor over The Witcher 3's representation of non-white people, but there was an interesting point made in response: here you have a game that strongly represents Polish and Slavic mythology, telling stories with a particular regional flavor. One player pointed out about how it represented his Polish heritage in a way that he hadn't felt before. Yes, western mythology is overrepresented, but it's possible for any piece of art to have both positive aspects and negative ones to it. 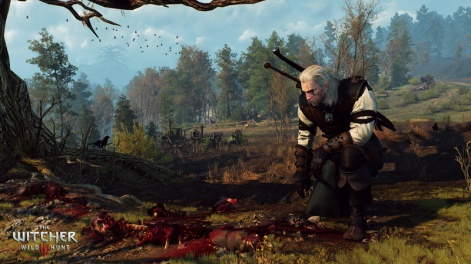 To reduce The Witcher 3 to just another 'white game' loses a lot of what makes it special - and that discussion often gets lost in the shots fired by cultural critics. Even to say that something is American or western could be flawed. As someone who's lived in Texas and in Chicago, you can see vastly different cultures on display, and I've gotten hints of this whenever I've spent extended time out on the west coast too. We all have different approaches to the world, even in the same country. And you might not notice them until you get an extended look at how things are outside of your bubble. Thus, I think that the discussion around these topics needs to be handled with nuance, as we often don't realize just how much culture affects - and blinds - us. Everyone from #GamerGaters to the most ardent social justice crusaders has an itchy trigger finger toward any perceived slight. The problem with games with grizzled white dude protagonists voiced by Nolan North isn't that they exist - it's that they're overrepresented. Hey, we're all human, and social media's brevity makes it easier for these issues to come to light, without being the best discussion forum for them. Perhaps we all need to step back and analyze before going guns blazing on any deficiency. The worst thing would be for well-meaning critics on all sides to ultimately poison the well on an important issue, not just because it's morally good to have a variety of experiences, but because developers are going to need to make games for more than their typical audiences. I think we're starting to see some people realize that while furor over "social justice warriors" and "political correctness" is overblown, perhaps setting the phasers to kill all the time is an issue. We need to realize that it's misguided to try and tear down any one game for its alleged larger sins - the problem with games with grizzled white dude protagonists voiced by Nolan North isn't that they exist - it's that they're overrepresented in a rapidly diversifying market. Ultimately, I just want to see more unique games created by people who haven't made games before. I want our culture to be open and welcoming to anyone willing to have their stances challenged. I think there's some great games to be made when new cultural perspectives are brought into the fold. And the developers who make these games? They're going to stand out and ultimately have a better chance at being successful in this growing and diversifying market.